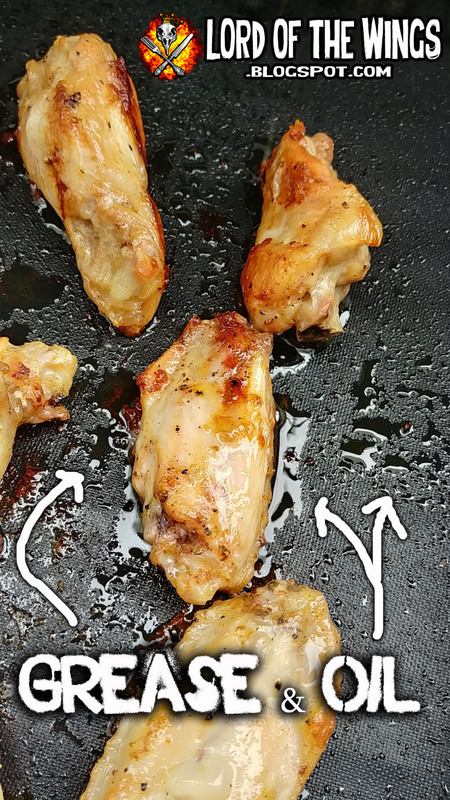 Can you BBQ "fry" chicken wings? 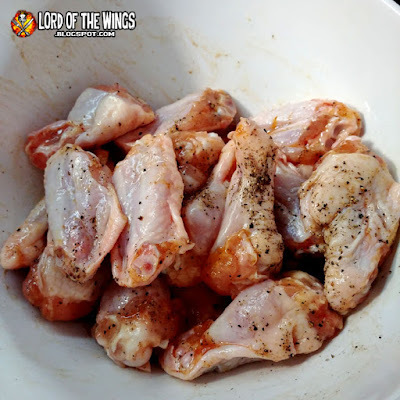 and 2) non-crispy skinned wings. There are different techniques to try and combat this, and I pondered tinkering with many, but then out of laziness I stumbled upon another possibility - using a BBQ Mat to fry the wings. 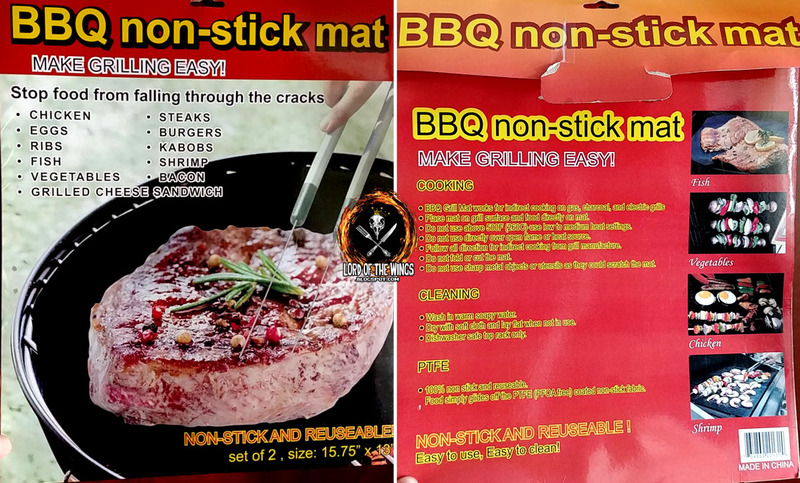 Last year my folks, who spend their winters in Florida, brought me back a "BBQ Non-stick Mat." I thought this might be a gimmick product, but it actually works really well. Like, really well. 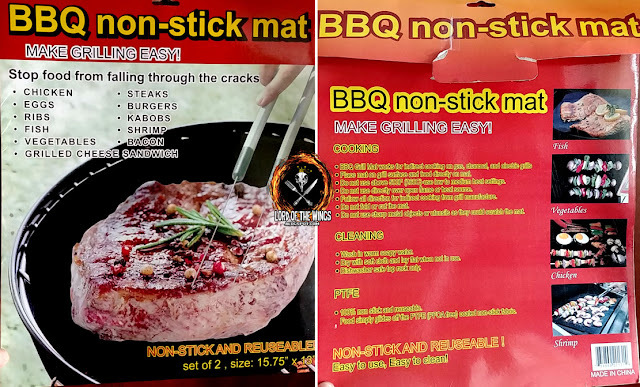 It's completely non-stick (melted cheese just slides off! 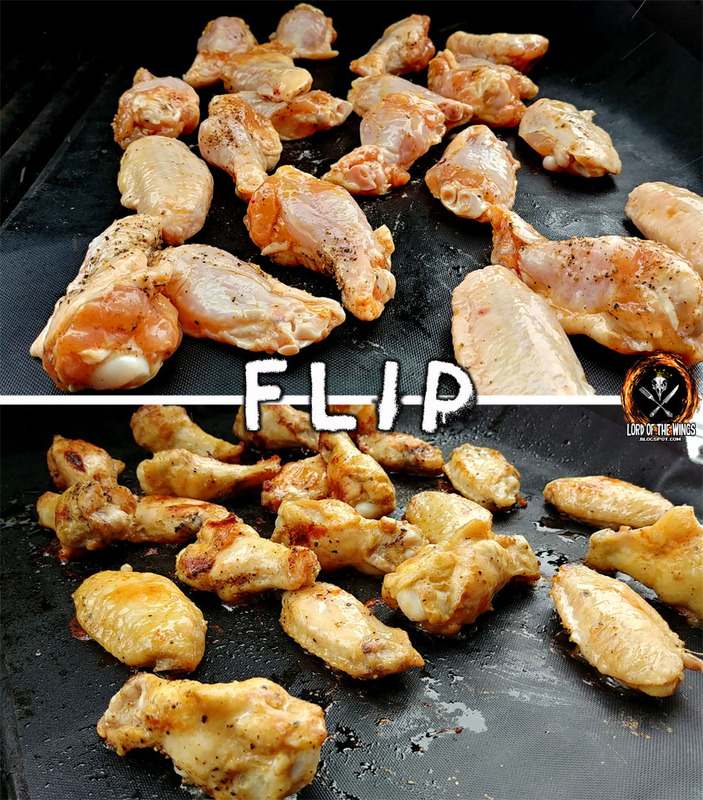 ), it transfers heat like crazy, so you still get grill marks on your meats, and it's easy to clean so the grill stays debris free. This was the main reason I chose the mat in the first place so I didn't have to scrub wing skin off the metal. The frying part ended up being a pleasant surprise. 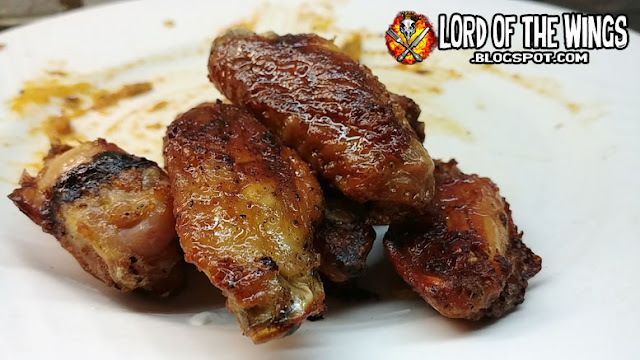 I was going simple on the wings because I was going to be using them in a sauce review. 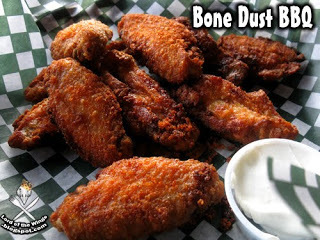 All I did was some salt and pepper, some Frank's Red Hot dry seasoning, and some olive oil. It marinated in the fridge while I got the grill ready. I turned all the burners up to high and walked away. 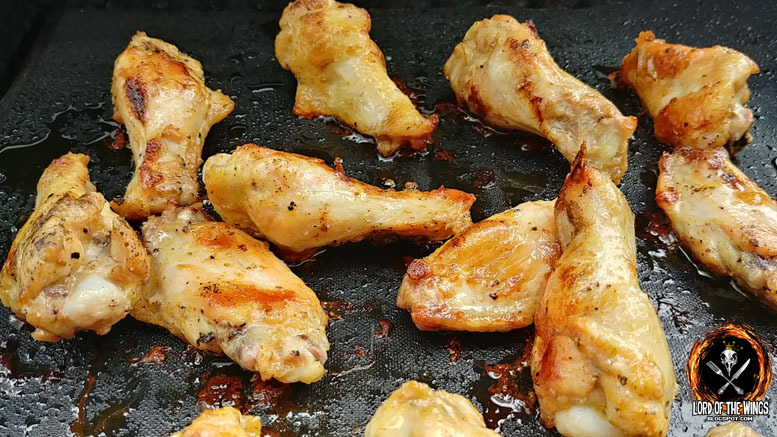 When the BBQ was nice and hot, I turned off half of the grill to create an indirect heat cooking method. Then I put the mat down. Then it was time to add the wings. Then it happened . 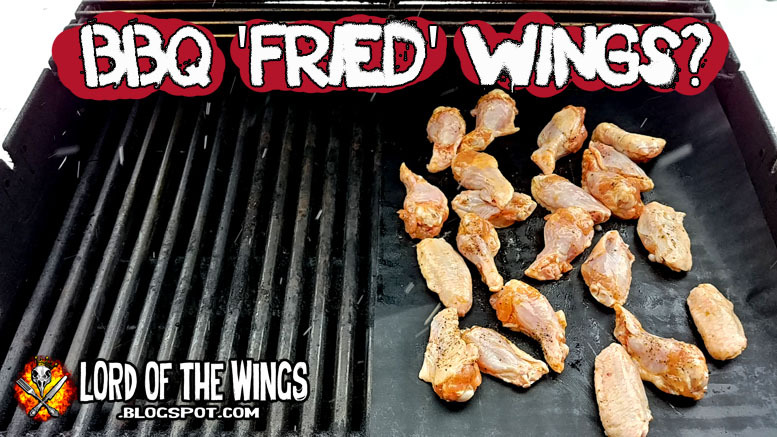 . . the wings started to sizzle. Like when you put bacon in a hot frying pan - you know that sizzle. I was shocked. 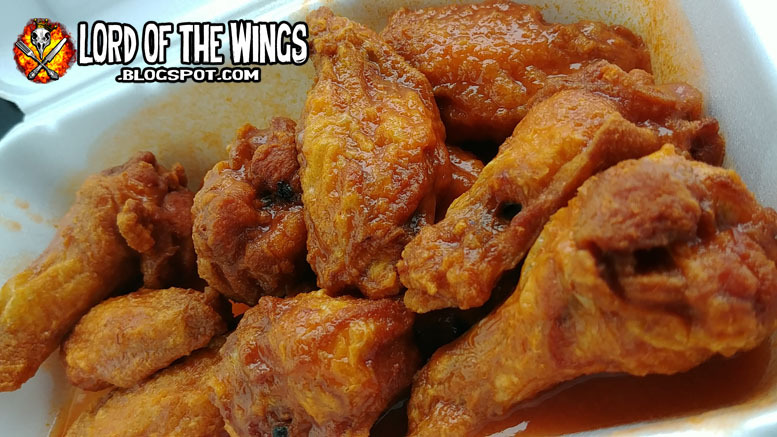 The mat was on there mere seconds and already the heat was more than enough for the wings. Were these wings . . . frying??? I was excited, but closed the lid and walked away for about 10 minutes to see what would happen. 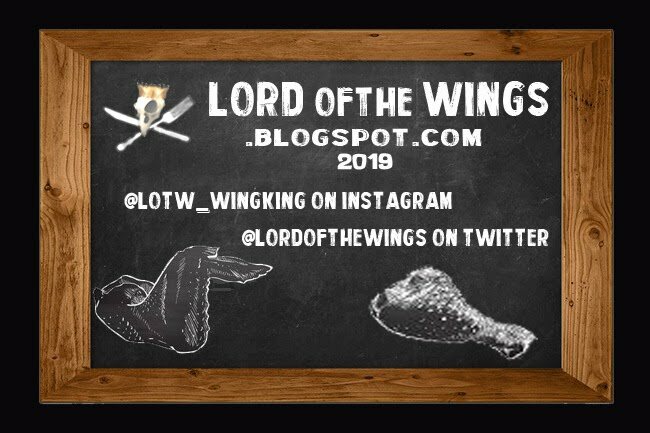 I came back and flipped the wings - I couldn't believe it. They were turning golden brown from the frying! 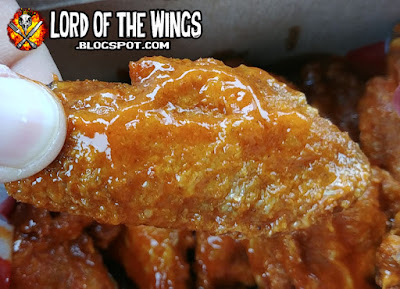 I was surprised at the amount of grease/fat from the wings was on the mat. There was some oil that I had tossed the wings in, but really it was mostly chicken grease. Oh and a little bit of snow because it's March in Canada and of course I'm grilling outside. 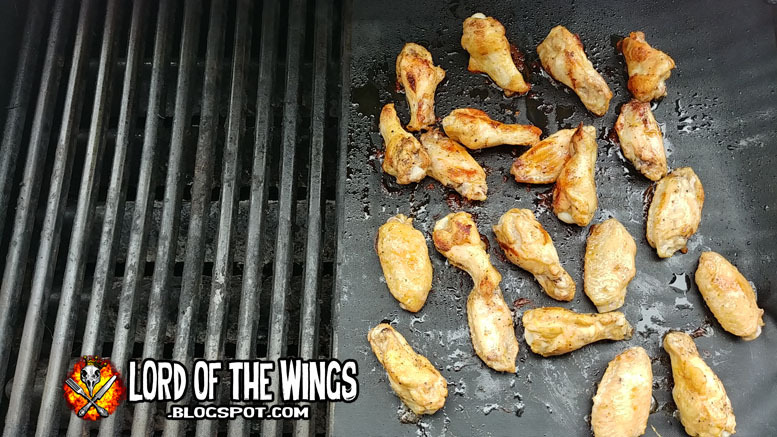 I closed the lid and let the wings cook for about another 10 minutes. 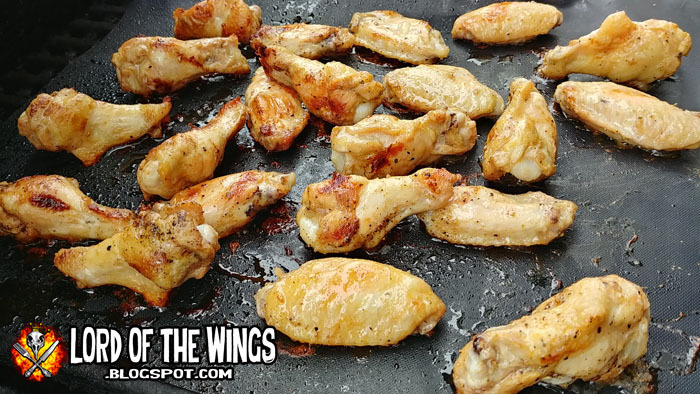 After coming back I flipped the wings again and the skins were again golden and they looked crispy. I picked one up - it was hot - but its true the skin was actually crispy. I mean not deep-fried crispy, but like pan-fried crispy. Some of the wings even had grill marks from through the mat. Amazing. 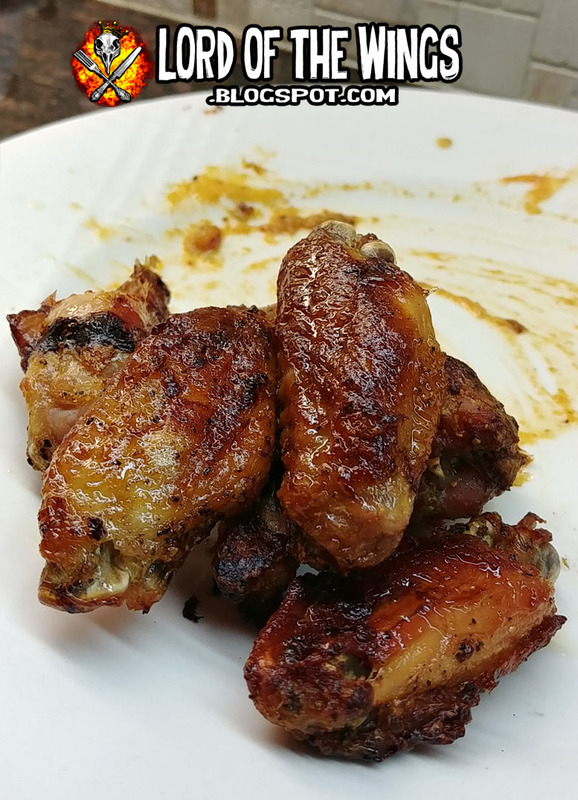 These wings turned out so well, I ate a bunch just on their own. And then I made them like this another day. If I had a grill I would totally use this mat and technique more often. The next best part after the crispy skin was that the wings had that slightly smokey grilled taste too. So simple and yet so much flavour. Clean: all I had to do was rinse the mat with water and soap. You can also put the mat in the dishwasher & didn't need to scrub the grill. I was very happy with the result. 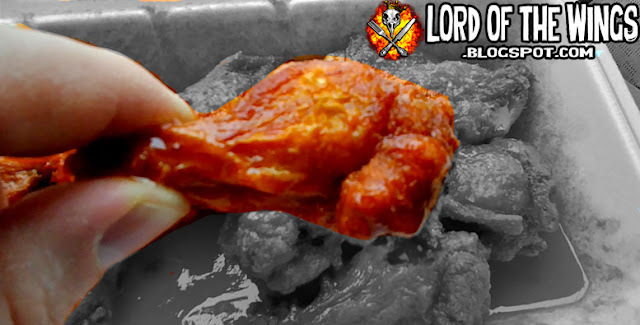 Next time I can do this, I would try saucing the wings while they fry. So check it out for yourself; this was a great accident! To see this review from 2010, go HERE. To see the first review I did in 2009, go HERE. Most people would not even try a pizza joint in a gas station. I'm not most people. 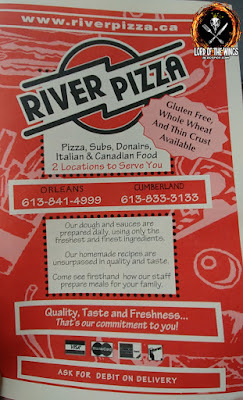 In Orleans Ontario at a local gas station is a pizzeria called River Pizza. There is another location, and the 'chain' has been serving pizza since 1984 and bill themselves Ottawa's Best Pizza. Coming from a gas station*, that's a pretty bold claim. This is mainly a take-out joint, but there were a few stools to sit at if you wanted. It's a Christian run business I say because they have a crucifix and other religious iconography stashed around. I always find it strange for folks to put religious items up in a place of business, but to each their own. I was there for lunch, and the place was dead - no one in to take-out, no one calling for orders. The pizza dude was busy cleaning and moving around. He didn't seem to want to be there, and didn't seem to really want to take my order. I mean he did and he was efficient, but his friendliness was at a stark zero. Not rude or unfriendly mind you, but I didn't feel that welcome. They have wings on the menu, but not much in the way of sauces. I got an order of Hot, and asked if they had any slices of pizza (because I didn't see any from the counter). They did, so I went with Pepperoni. 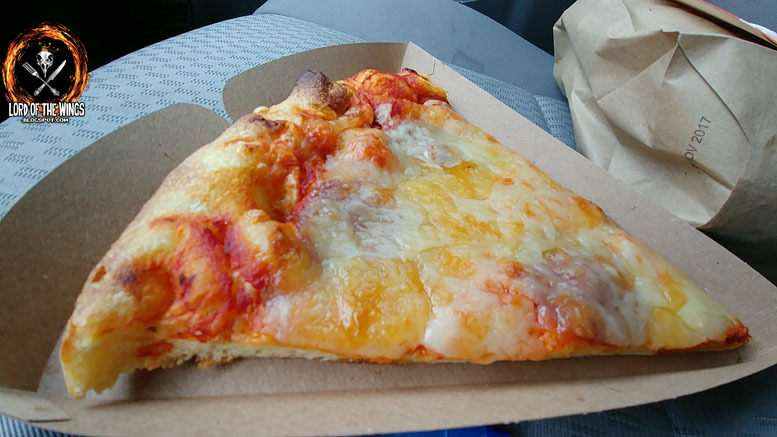 This is the slice of pepperoni. You might think it was just a cheese pizza, because you know, you can't see any pepperoni. It's there, it's just under the cheese. 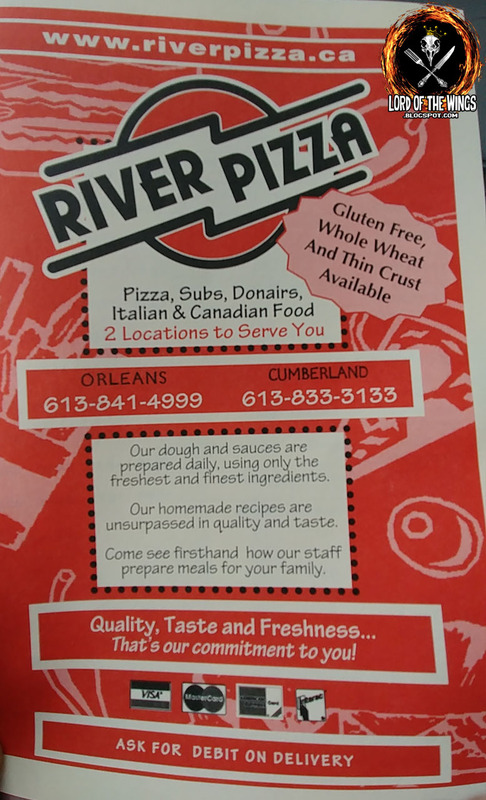 See in Ottawa area, 90% of the pizza places make pizza so that the ingredients go under the cheese. I don't care for this style. And this was bottom of the bin pizza. Blah canned sauce, cardboard crust, and un-crispy pepperoni. It wasn't a big slice either which is good, because I didn't feel like finishing it. 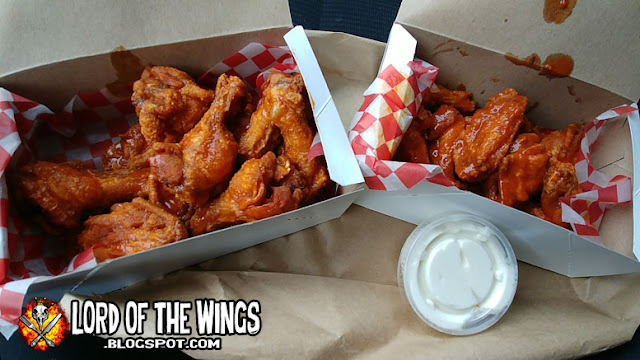 The wings came in a paper bag inside a Styrofoam container. 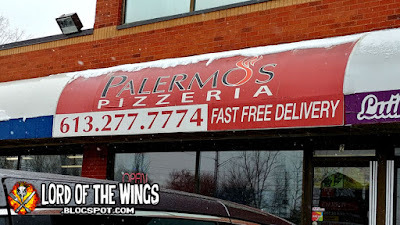 I wasn't impressed with the pizza, but maybe the wings would turn things around. 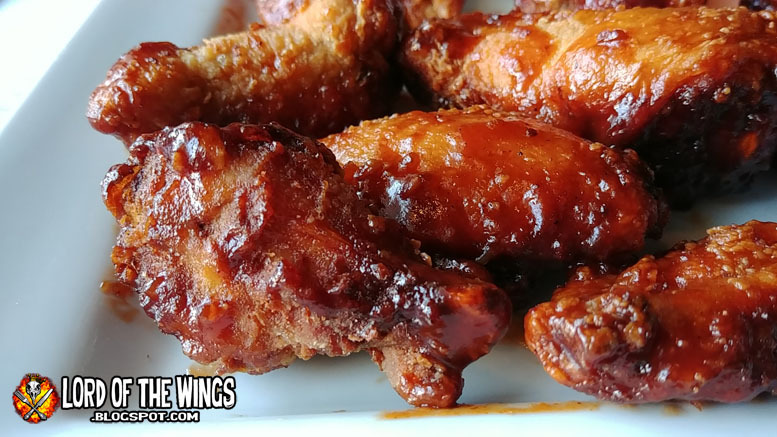 At River Pizza, the wings come in orders of 10. They keep it pretty simple. 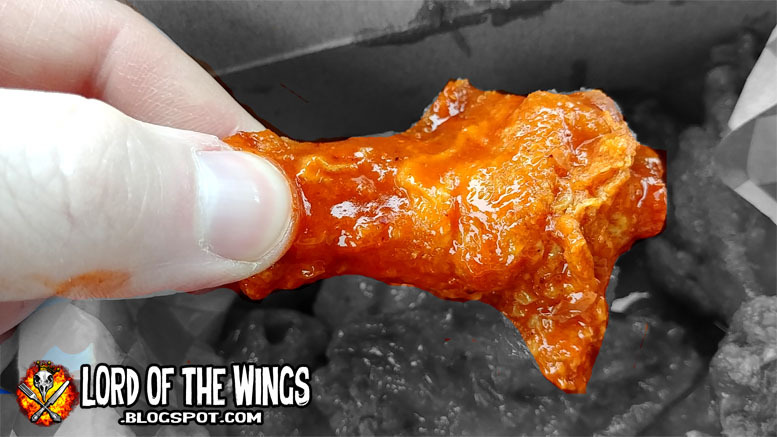 The wings themselves are small, but are relatively meaty. They are deep fried and the wings started off crispy, but then got soggier as the meal went on. 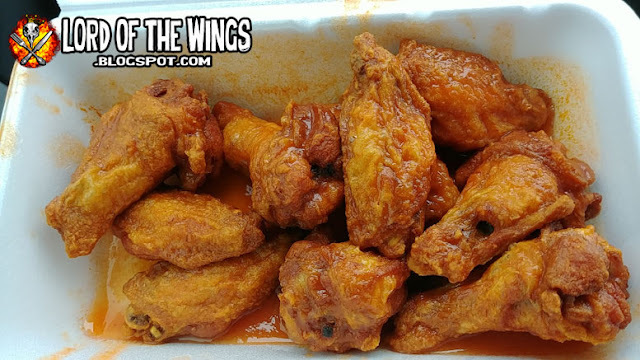 The good news though is that there is a lot of sauce; these are very wet wings. 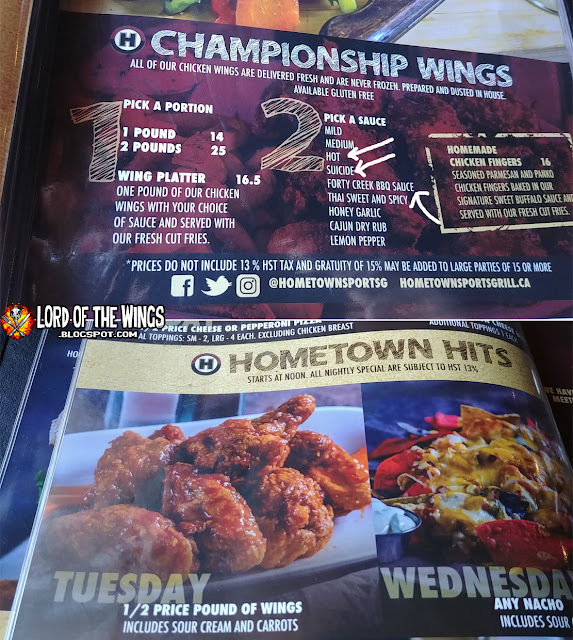 There are only 4 sauces for the wings, and I went with Hot. Hot is a simple cayenne based hot sauce, probably Frank's. It was decent but nothing special. 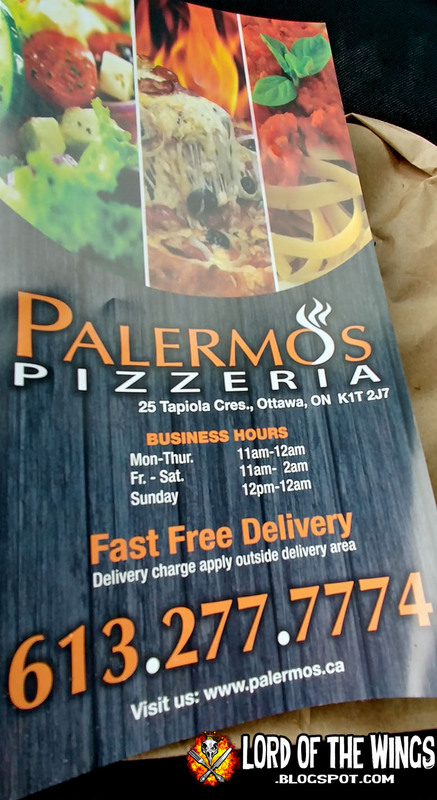 One thing I like about Ottawa is that there is a lot of independent pizza places. I don't care much for most of their pizza and they all have basically the same menu's, but I occasionally find a jewel among them. 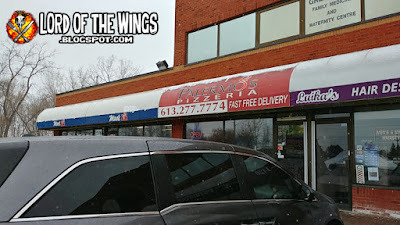 Way out of the way in a weird part of the city surrounded by housing, automotive shops and partly forested area is a strip mall that houses Palermo's Pizzeria. 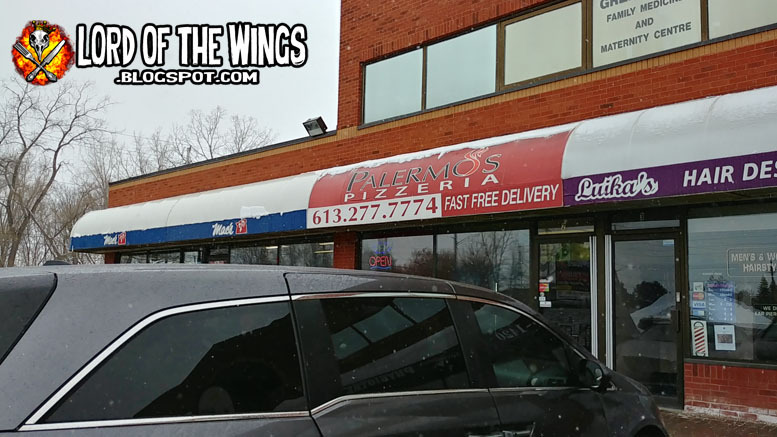 I've passed this place several times as it is a few stores down from one of my favourite wing places in the city, O'Grady's Outpost. Palermo's also liked one of my photos on Instagram and that doubly put them on my radar. This is basically a take-out joint with 3 tables for sitting in. The place is clean, bright, and looks like it went through a reno in recent times. I went in just after lunch time and the place was pretty quiet. 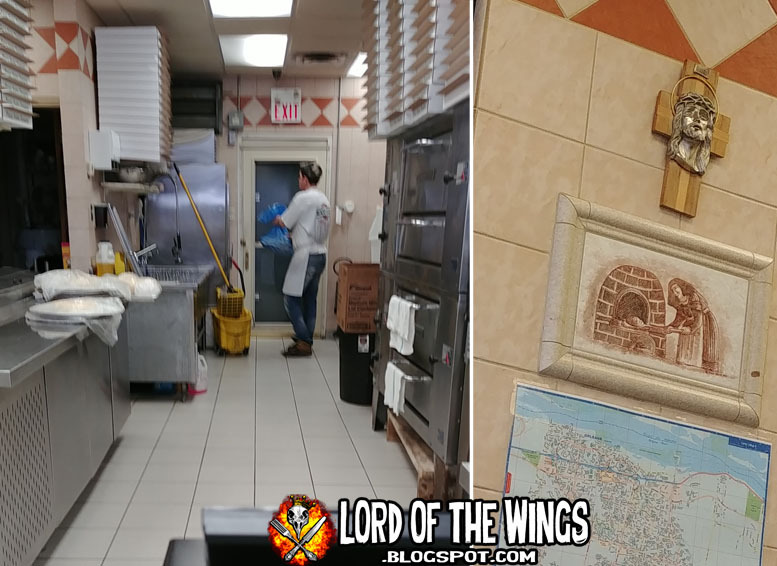 There was one pizza dude making pizza's in the back. When he saw me he came over but I needed to look over the menu to see for sure what I was getting. 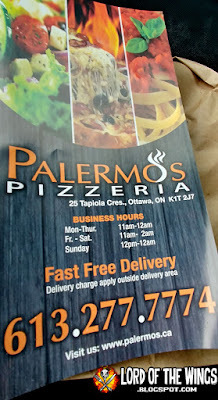 I have to say I really like Palermo's aesthetic in both the pizzeria and their menu. The grey/black with white and orange made that menu pop. I had missed breakfast, so I went for 20 piece order but and pizza dude was able to split it up into 2 sauces for me. And sour cream. Oh Ottawa. 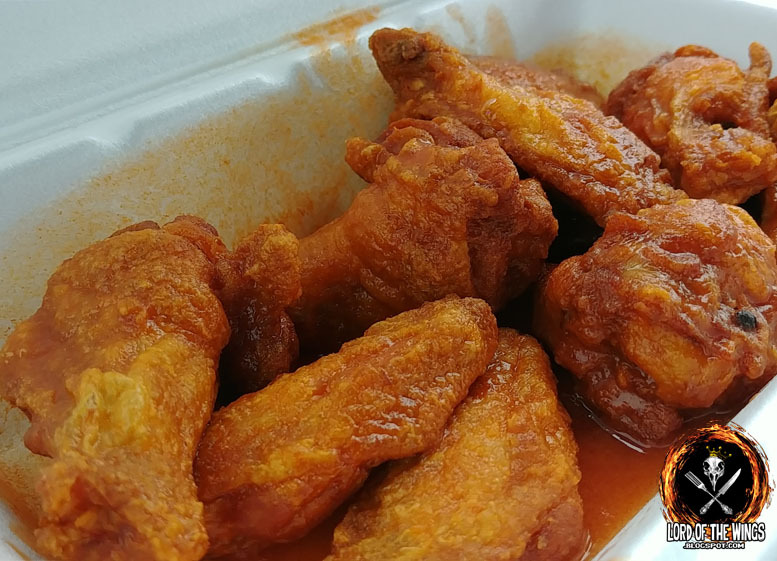 These wings came in cardboard boxes, which is great compared to those Styrofoam take-out containers that are not great environmentally. I was just chatting via e-mail with long-time reader George about how unfortunate that places still use those clam-shells. Wings come in orders of 10, with about 10 fitting in a box. 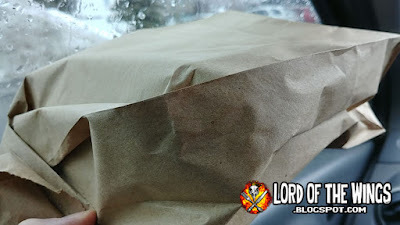 They were both put into a paper bag and that bag felt like a brick. That's a good sign. The wings were small to medium in length which is a shame because I like bigger wings. On the meatiness scare these were a medium plus (+) because many were pretty plump. The skin was crispy and the meat was tender. 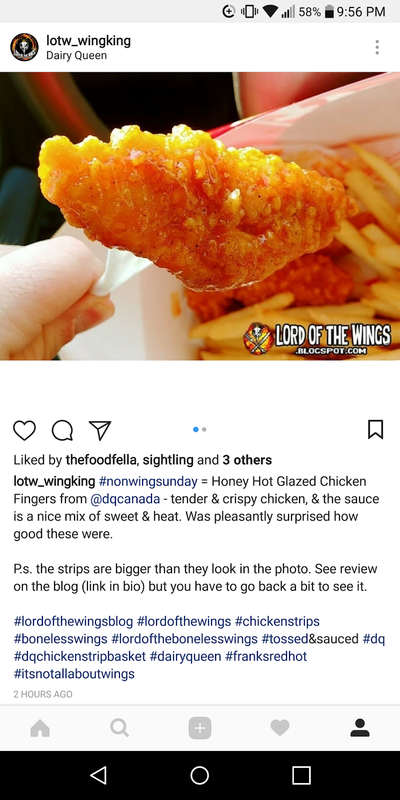 Overall these were a very nice wing. 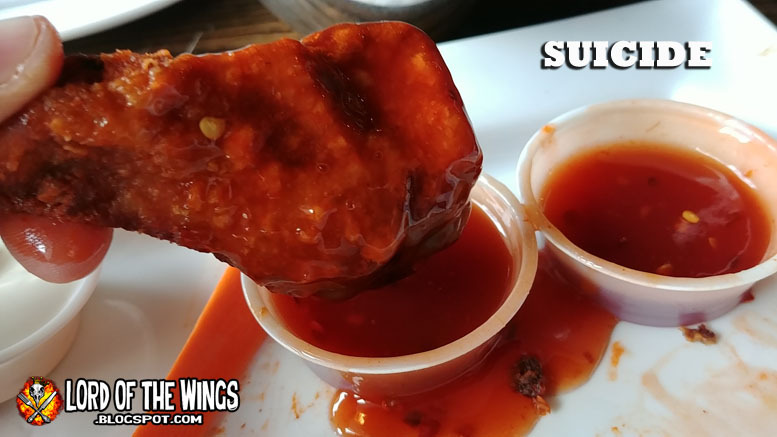 The sauce menu was pretty standard, but my eye was caught by the Suicide, and Buffalo. The Buffalo was intriguing because my experience with wings from pizza places is that they don't put much care or accuracy into their labeling, so they my put Buffalo when its actually just hot sauce. 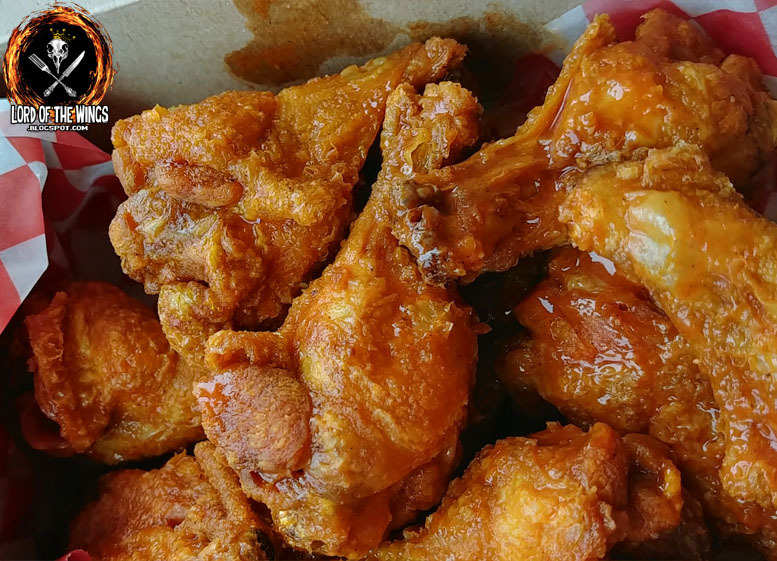 At best it might just be Frank's Buffalo sauce. 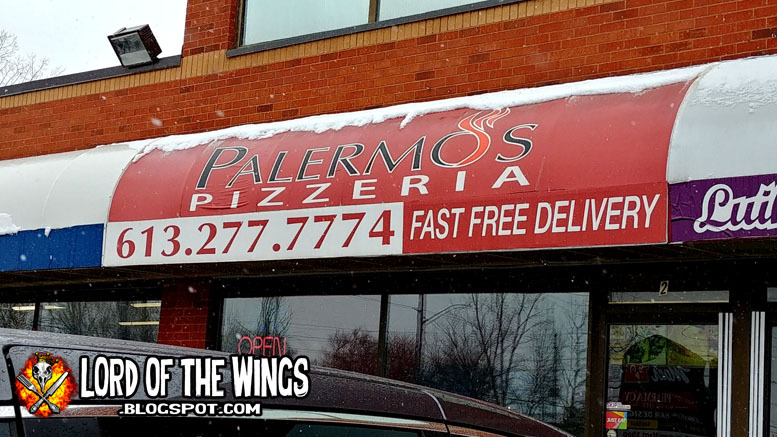 What would Palermo's be like? 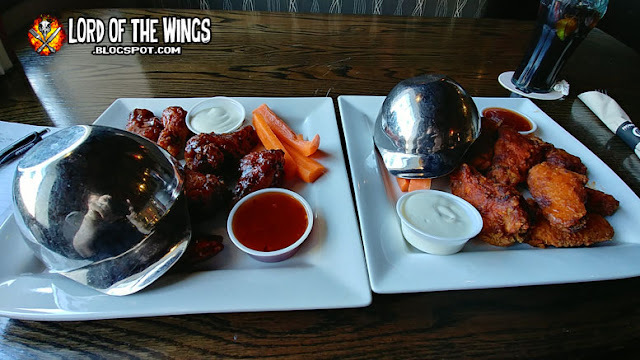 The good news either way was that the wings were in a lot of sauce - one order they had lots of sauced but not tossed very well, while another order were tossed great. 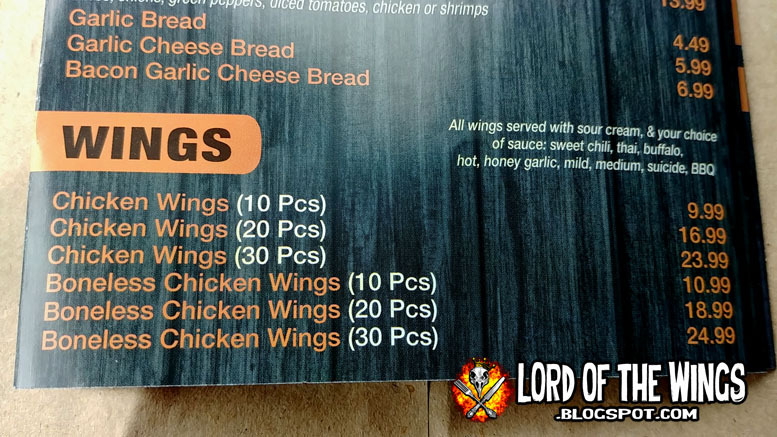 At first, I couldn't tell which wings were which. After I ate a few of each, it was clear these were not the spicy of the two. 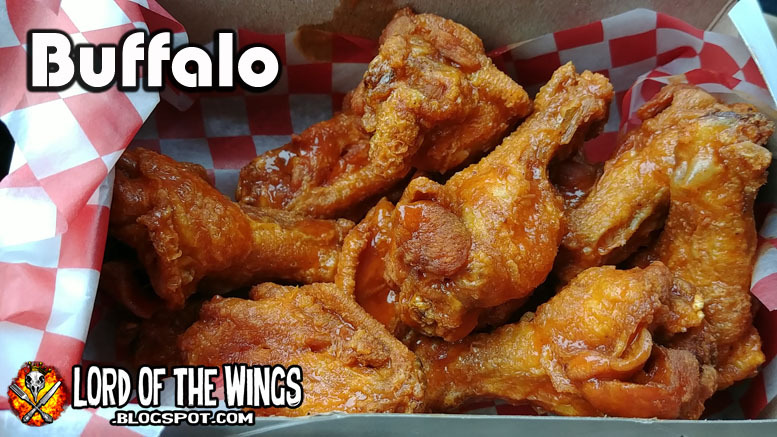 They also didn't scream Buffalo to me, as in they weren't buttery and hot/sour, but I did find them really tasty. The sauce didn't taste like the same sauces all the other pizza joints do. 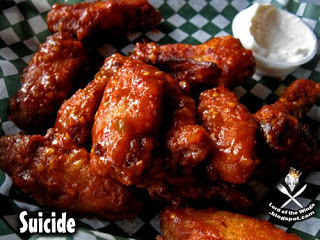 It had a good flavour but they were overshadowed by the Suicide wings. 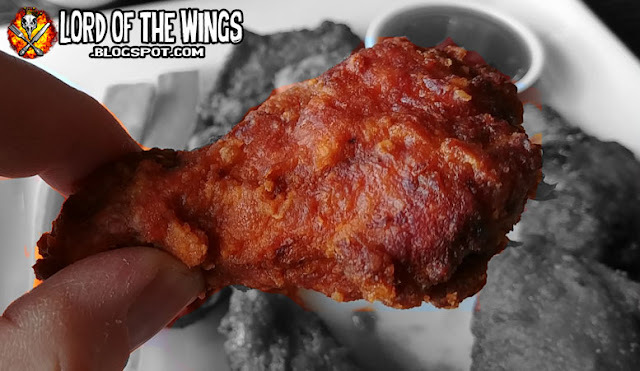 These wings weren't spicy off the bat, but then it kicked in. 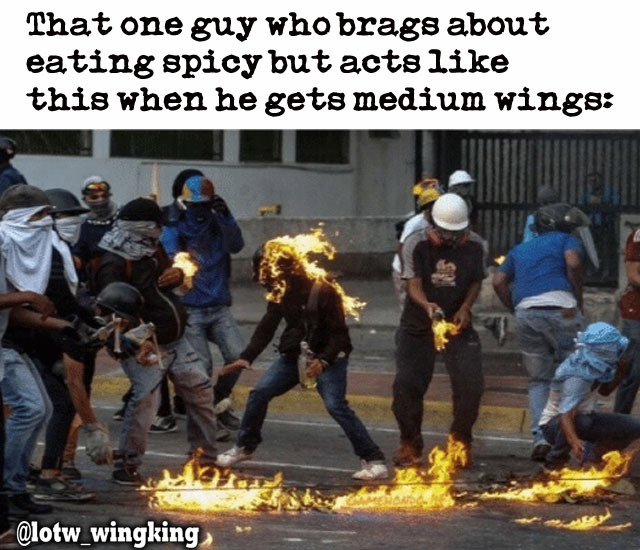 It was a nice burn, but this was a sauce that was full of flavour. I'm not sure what they were using but it was very tasty. 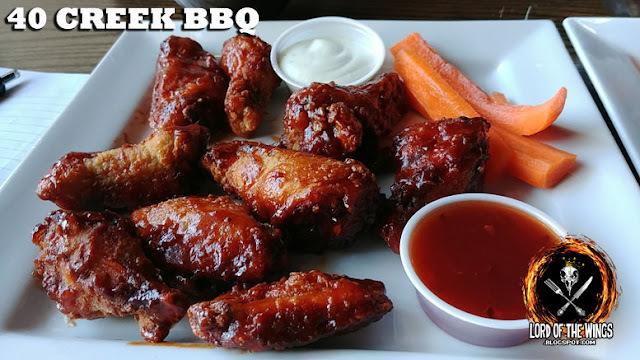 I gobbled these wings up and when I didn't eat all my Buffalo wings, I dropped them into this sauce to mix around and have for leftovers. Liar Liar mouth on fire. 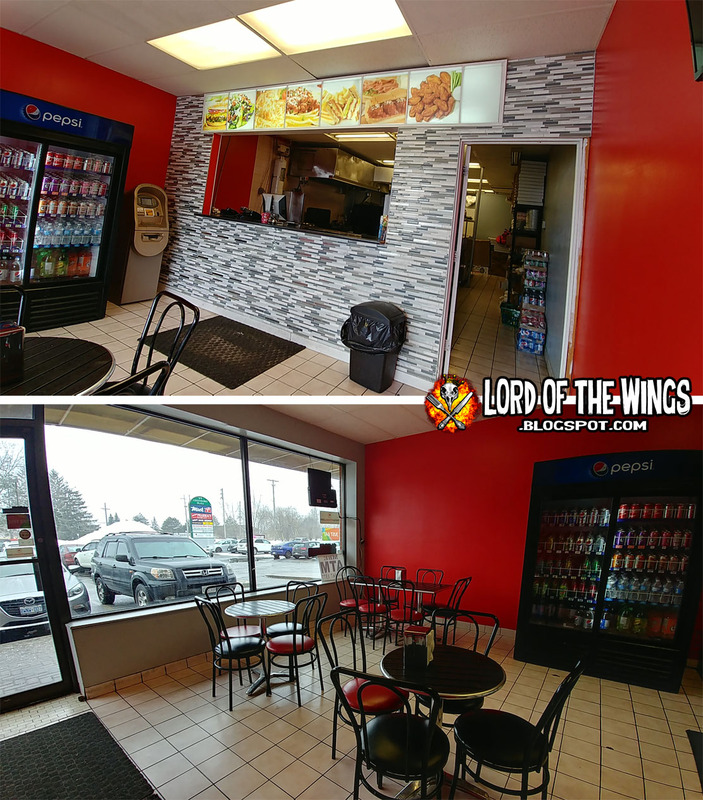 When I first started coming to Ottawa about 10 years ago, there was just one real place for chicken wings: Local Heroes. 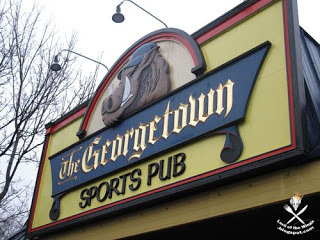 But since then they've lost the crown, with multiple locations closing in recent years. 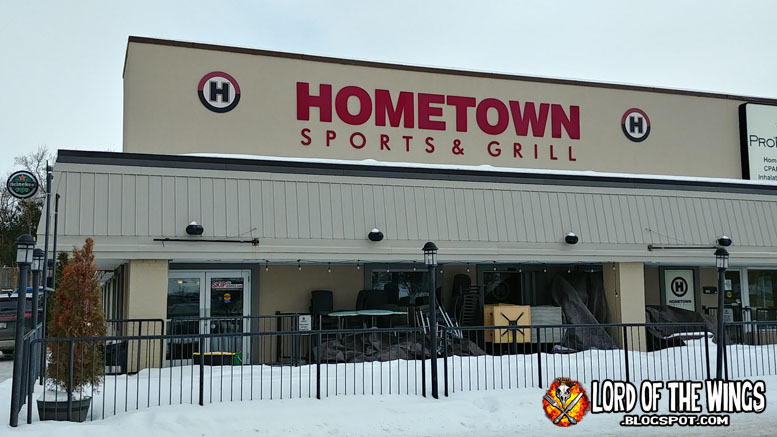 Their biggest location shut down a few years ago and was re-imagined as Hometown Sports & Grill. 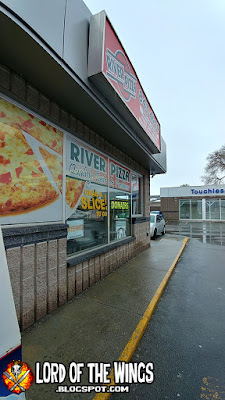 Hometown's website says they've been operating for 20 years ... so perhaps it was the same owners of this location? Not too sure. 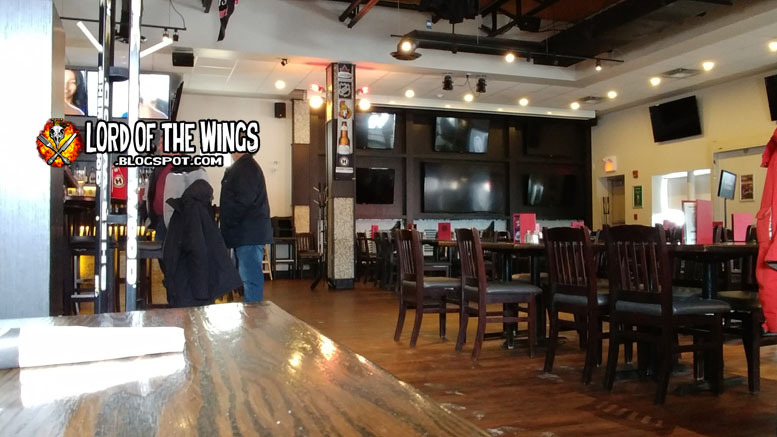 I've been here once or twice before this review, but I'm still impressed at the renovations from the old, tired dingy sports bar it was, to the clean, bright and spacious eatery it is today. On this visit I was here for lunch, but the place was pretty dead (to be fair, its a BIG space). The waitress let me sit where ever I wanted, so I got a giant booth to myself which was pretty sweet. 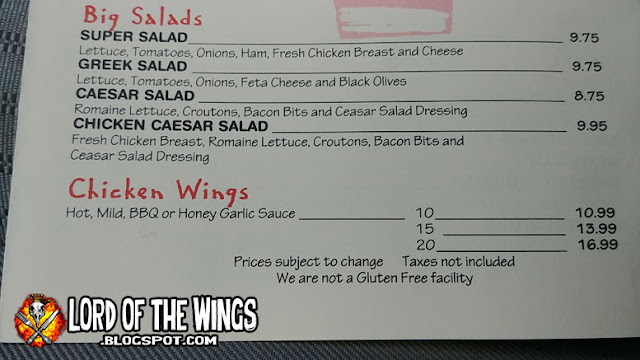 The menu proudly displays their specials, and chicken wings are pretty clearly highlighted. They have a big wing section on their menu and it's not too clear but I put arrows beside the wing flavours I chose. 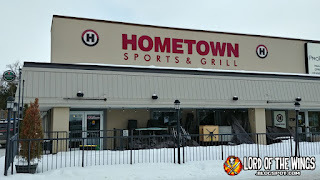 This place is not a traditional sports bar. 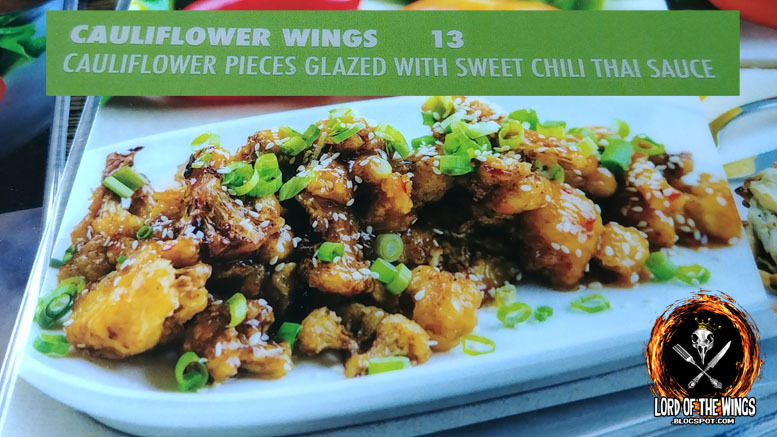 They have a vegan menu, and on it they have cauliflower wings. That's pretty cool. 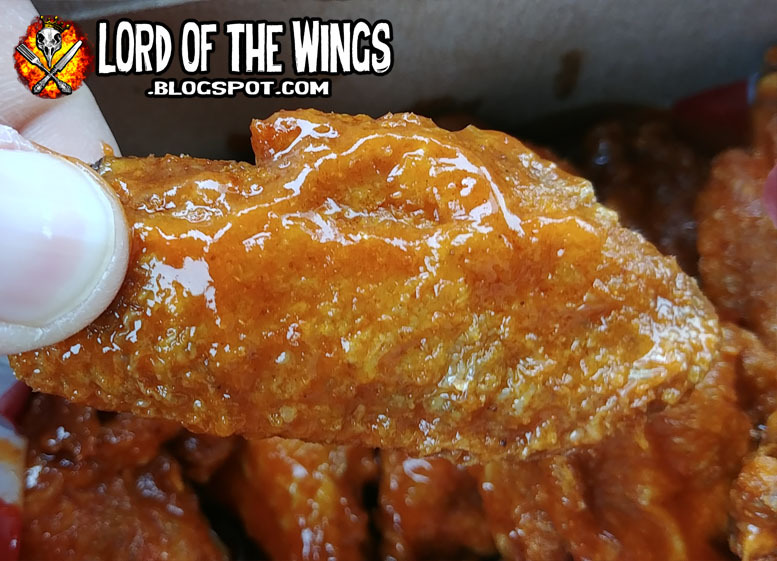 I mean I'm getting wings, but for you vegans, bonus. 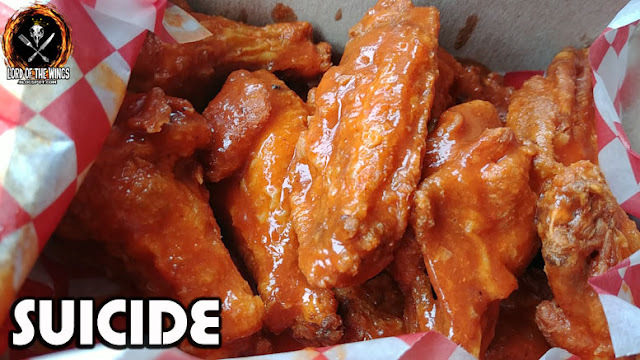 When you order wings they come by the pound, but these pounds have about 9 wings in them. 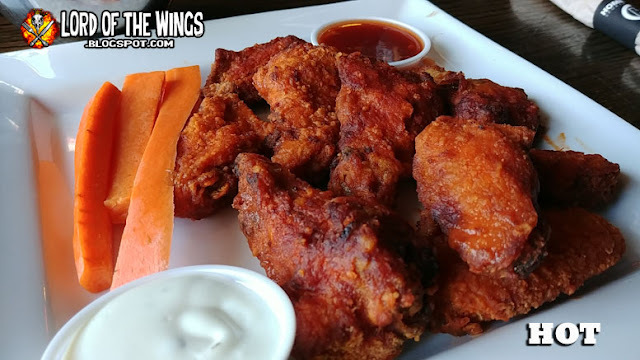 On wing DAY (all day long not just a wing night), wings are 1/2 price. That meant I was feasting. They set you up pretty right with a metal bone bowl, wing plate, napkins, fancy wet-naps: all your cleaning needs taken care of. 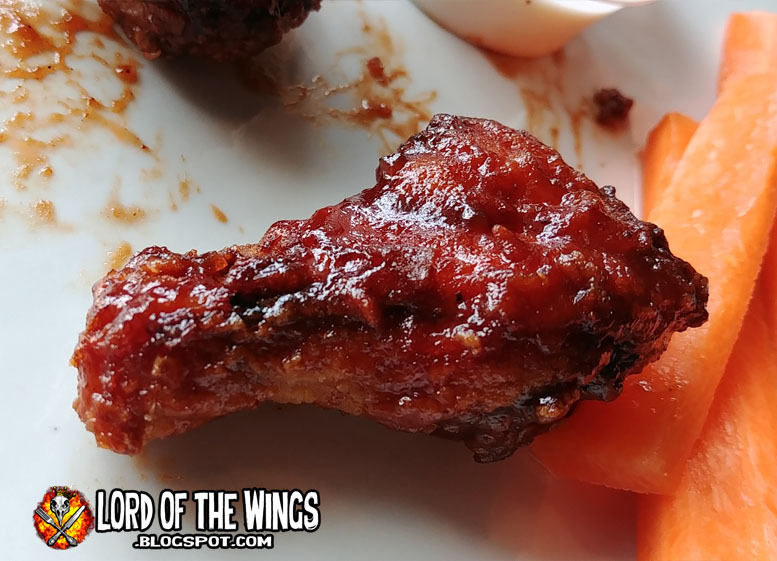 On the side of the wings they give 2 carrot sticks, and usually sour cream, but I was told I could also get ranch. I said nuts to sour cream and got the ranch, but it was terrible. It was so chemical-fake tasting I couldn't eat it. The wings are dusted and then deep fried. This meant they were pretty crispy and held up well against the sauces for the most part. These were not the longest in length, but not the shortest either. So pretty much a medium. Meatiness they were a medium plus (+), not quite a large, but decently meaty. The meat was tender. With the crispy skin, these were a quality wing. 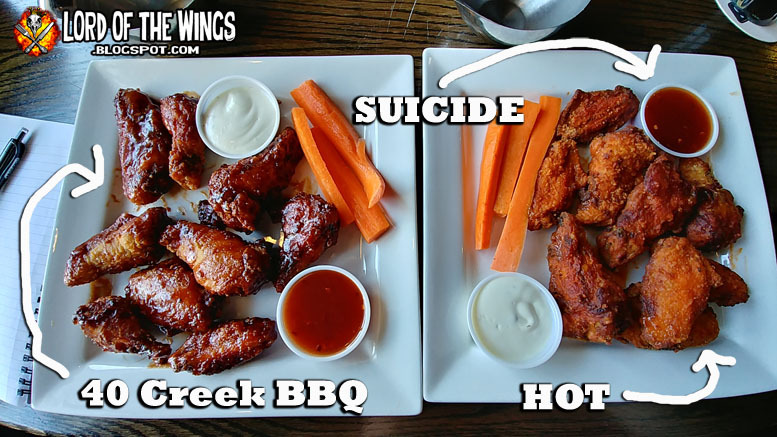 The wing sauces I went with were Hot, 40 Creek BBQ and Suicide on the side. Hot was a classic cayenne base hot sauce. It was a good flavour, ok heat, but these would have been even better if there was more sauce. The sauce was absorbed into the skin, but it didn't ruin the crispiness. This is a commercial BBQ sauce, but I quite like it. 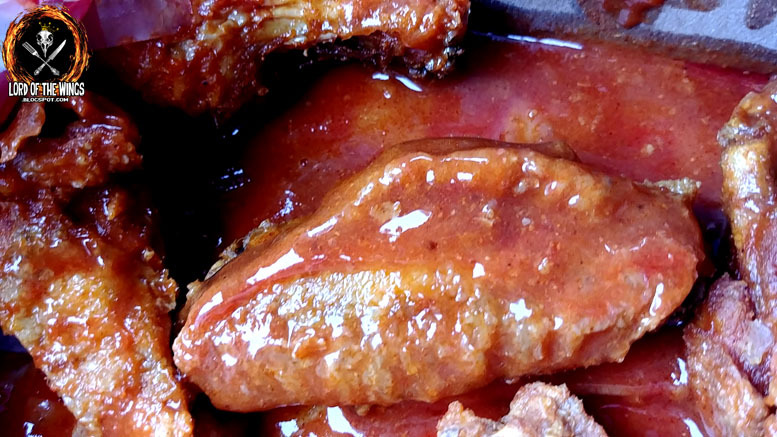 It's smoky, slightly sweet, and savory. It's a bit sticky, a bit thick. 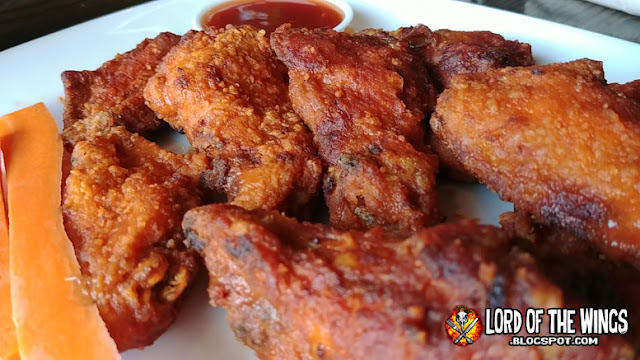 The crispy skin with the sauce gives for great flavour and texture. So this sauce is 3rd Degree sauce, but they jazz it up with chili flakes and spices. I don't find it that hot but I do like this sauce, and the fact they put in a bit of effort. I don't have any more points, I just wanted to put a gratuitous photo of these wings. LOTW Meme Monday: Spaceballs - When is Then Now? 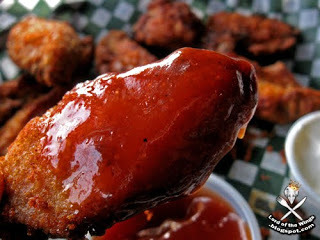 Happiness Happened Here: "Trash Pile"
Can you BBQ "Fried" Wings?? ?